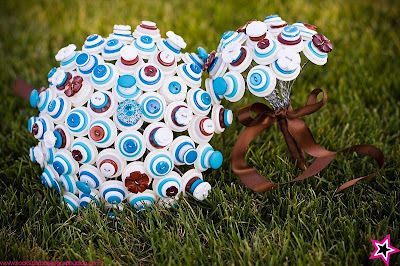 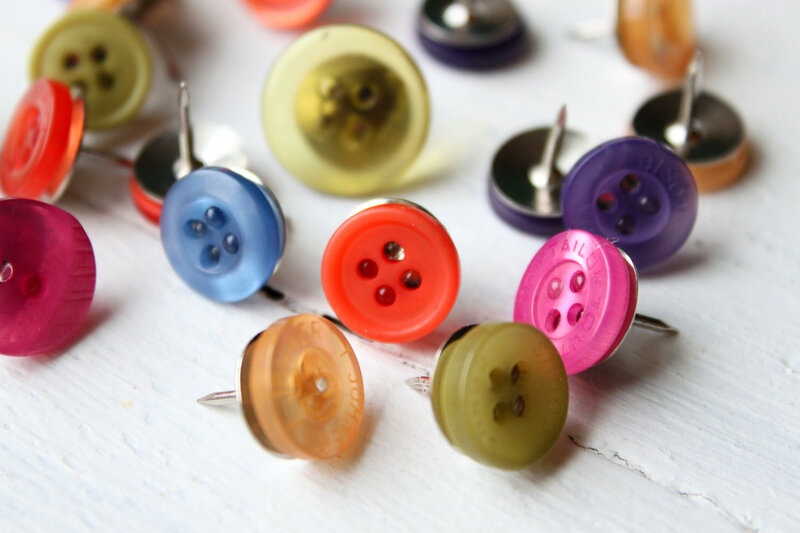 Collection of creative reuse of buttons and cool use of buttons inspired products and designs from all over the world. Thumbtacks Button Pushpins: These colorful button thumbtacks makes your boring bulletin board more interesting. These thumbtacks come in assorted colors and are hand-glued. 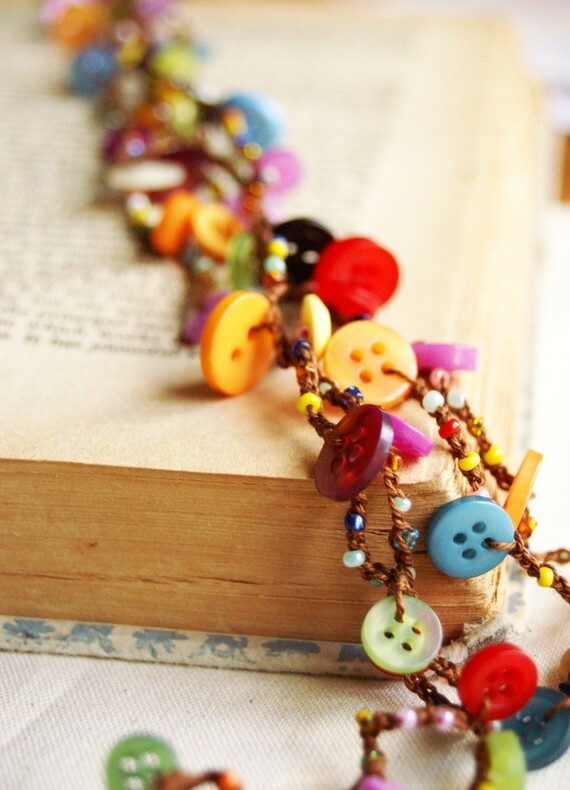 Button Necklace: Make your own cool button necklace; just follow the instructions given by Nikki and make one for self. 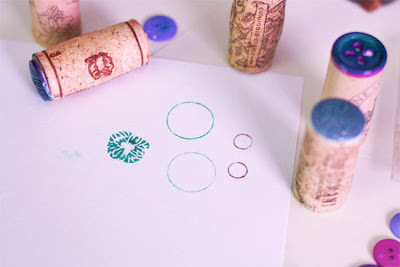 Button Stamps: To create these unusual stamps you'll need: corks, craft glue and some textured buttons. Retro Button Necklace: This looks cool and its quite simple to make; just follow the tutorial. Versatile Button Necklace/Bracelet: You can wear this as a bracelet, headband, belt, or a necklace. 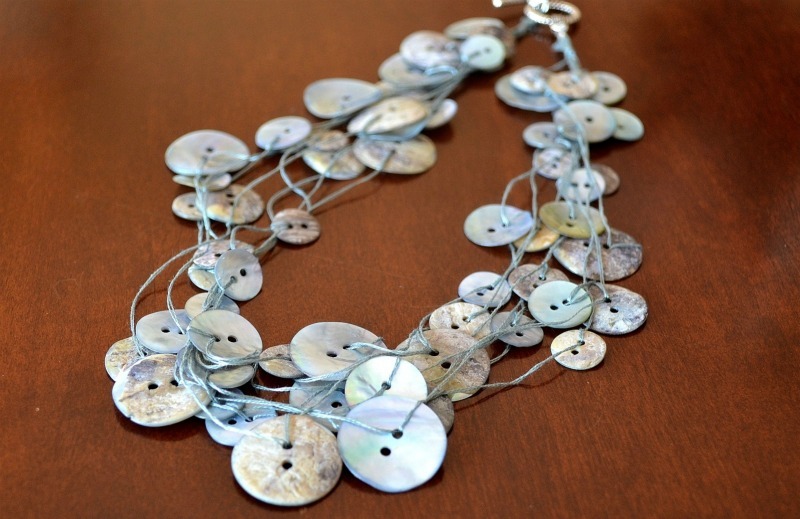 Pearly White and Cream Button Bracelet: This silver plated bracelet measures approx 7.5 inches and comes with vintage and new buttons in cream and pearly shades. Button Lampshade: A creative way to use buttons on a lampshade. Button and Felt Brooches and Hair Clips: Make your own button hair clips and brooches, just follow the instructions. 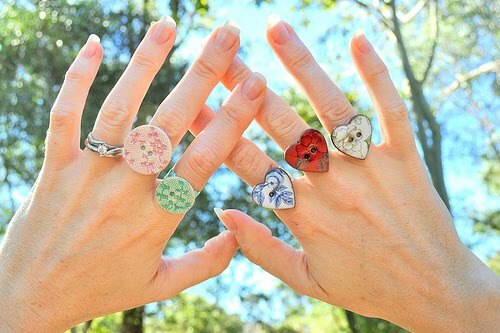 Button Rings: When you combine buttons with ring bases you get these cool rings. 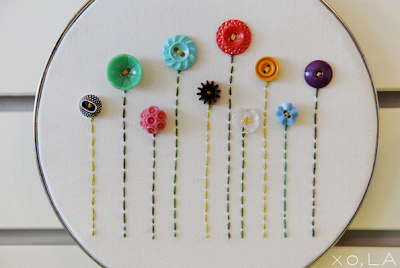 Spring Button Flowers: Now you can also turn buttons into flowers and make a cute handmade display-piece. 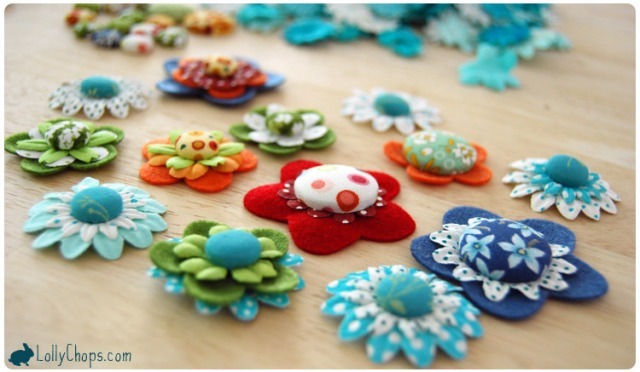 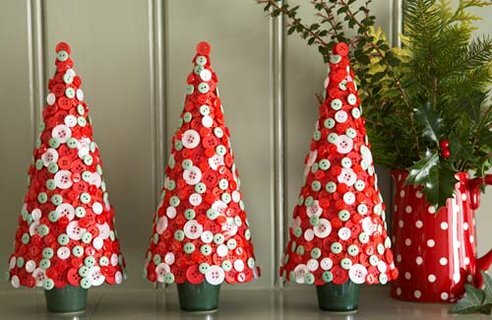 Button Covers: Make button covers and use them as thumbtacks, fridge magnets or as flower centers. 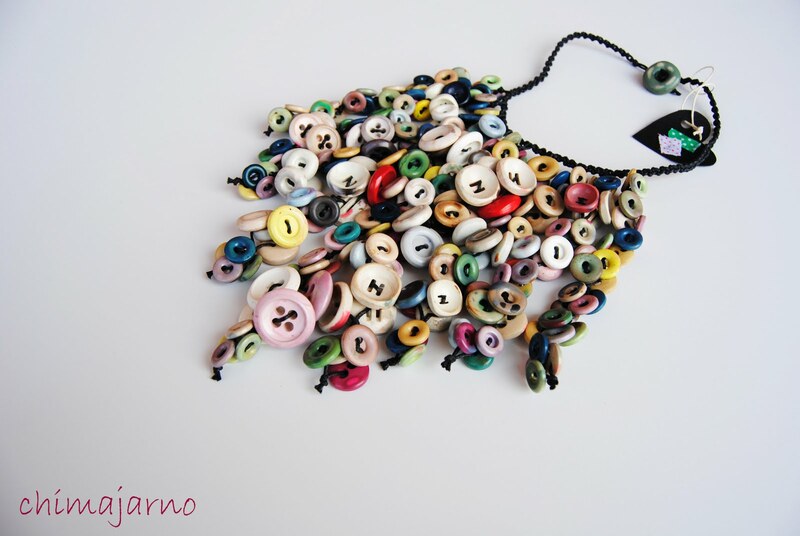 Colorful Necklace: Designed by Chimajarno (who has amazing ability to create wearable combination of buttons), this cool colorful necklace is created using very old buttons. 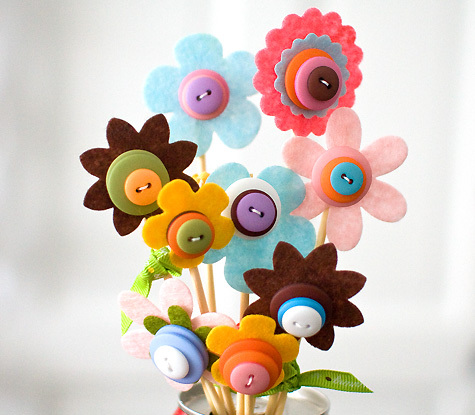 Spring Buttons Bouquet: This little buttons bouquet looks great on your desk or on the bookshelf.